Waaaaay back when, a long, long time ago, I was waiting for my first mystery, A HOE LOT OF TROUBLE, to come out. I’d been eagerly anticipating the galley copies of the story (now called pass pages, which is basically just the last look-through of the pages for mistakes before they go to print) to arrive when a package from the publisher came in the mail. I tore into the package and found...the galleys for Death byDeep Dish Pie by Sharon Short. I quickly sent a note off to my editor, who admitted her assistant mixed things up a bit. Turns out forty minutes north of me, Sharon (who I'd never met before) was having her own package-ripping moment, only to find the galleys for HOE. Somehow or another, it was decided that Sharon and I should just meet up and swap our copies instead of shipping back to NYC, then having them ship them back. So, we met up, swapped, and have been the closest of friends since. That was eight years ago. We’ve both had highs and lows in our careers and our personal lives, and it’s always nice to have a friend who understands both those worlds. A few years ago, Sharon decided to focus her writing on another genre (mainstream fiction), which pretty much meant starting over, which is never easy, but Sharon handled it with grace and her ever-present humor. And now all that hard work is paying off. 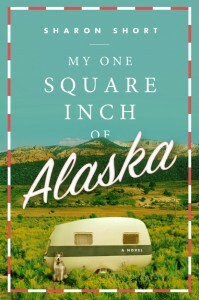 Her book club novel, MY ONE SQUARE INCH OF ALASKA, debuts in February. As someone who’s read an early copy of this story, I can tell you, it’s good. Really good. Did I mention how good it was? So. Good. I’m thrilled for Sharon, and I can’t wait to hear what all of you think of the story, too. 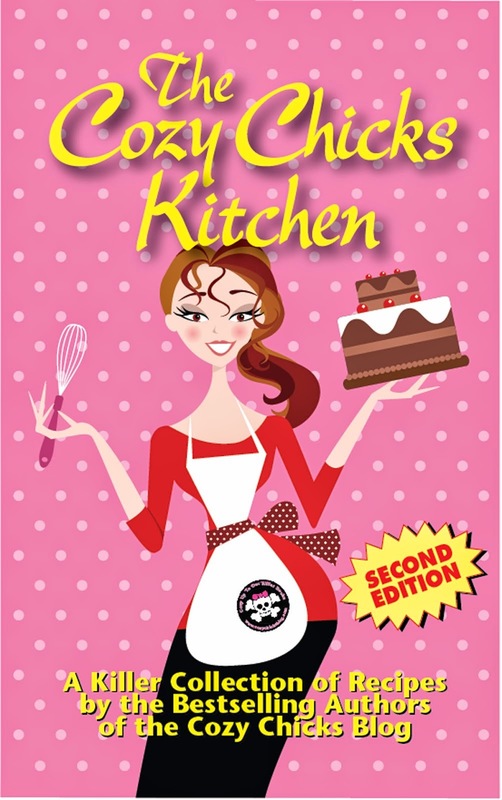 If you loved Saving Cee Cee Honeycutt, you’ll love this book. To celebrate Sharon’s good news—and the way we met—I’m giving away a bound galley copy of A WITCH BEFORE DYING. All you have to do is leave a comment with the title of the book you’re reading right now. Simple. I’ll randomly pick a winner at 8 PM (EST) tomorrow night and then update this post with the name of the winner, so check back tomorrow night! Right now am reading" Ms. America and the Offing on Oahu"
You haven't mentioned any country restrictions so I'll take a chance and enter. I'm reading "Rest in Pizza" by Chris Cavender and when the road trip starts later today I'll be reading "Grace Among Thieves" by Julie Hyzy. I'm currently reading "The Sleeping and the Dead" by Jeff Crook. I'm reading "Dial M for Murder" by Miranda James. I am reading A slice of Murder by Chris Cavender. Red Velvet Revenge by Jenn McKinlay. It's such a fun book! Corpse in the Crystal Ball by Kari Lee Townsend, cute new series! I just finished the same book the first commenter is reading and agree that it is a fun read! Now I'm reading Sweet Delicious Madness. I just finished Criminal by Karin Slaughter and currently I'm reading the proofs of a book set in southern Illinois by a new author. I promised to give her my critique. Meanwhile, I'm looking for something fun to read when I start chemotherapy very soon. Oh, I love Sharon Short's Toadfern series! I also really enjoyed your first Wishcraft mystery and look forward to the next! Right now I'm reading nonfiction: New York State Ghosts Volume 1 by David J. Pitkin. I'm almost done and plan on reading Pies and Prejudice by Ellery Adams next. Current read = "Pretty is as Pretty Does" by Elizabeth Spann Craig. I can't wait for a Witch Before Dying to be released! Right now I am reading Pies and Prejudice by Ellery Adams. I'm reading Endure by Carrie Jones. I am reading DD Scott's 'Thug Guard', her non-fiction ebook '10 Years' and an HMB Intrigue (paper book). I'm currently reading "Real Vampires Have Curves" by Gerry Bartlett. I thought the title was funny and a friend of my liked it. So excited for your new book!! I'm currently reading The Man in the Queue by Josephine Tey and Forgive Us Our Press Passes by Ian Skidmore. I'm so glad that you have more books coimng out. Killer Keepsakes by Jane Cleland. Decided to catch up on some of my pet story books. Just finished "Homer's Odessy" (awesome book) and started "Gabby...All About Me". When I need a book I can just pick up and put down easily, I'm reading "Chicken Soup for the Cat Lover's Soul"
I am reading Pies and Prejudice. Currently enjoying BURIED IN A BOOK by Lucy Arlington. if this is open to canada.. please enter me! I am reading Never Buried. 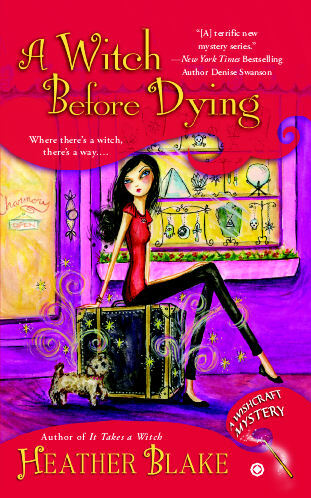 I'm currently reading Hot Tea by Sheila Horgan and would love to win a copy of A Witch Before Dying! Hello, Just finsihed Lucy Lawrence "Cut to the Corpse" and now I am reading "Seven Gothic Tales" by Isak Dinesen. It has been on my shelf for quite some time, so I finally decided to read it. 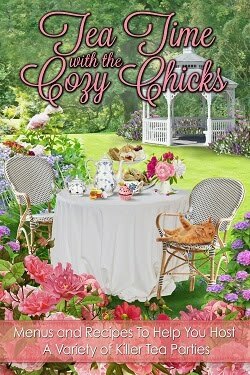 It is a far fetch from my usual cozy mysteries. But, I am enjoying it. Snobbery with Violence by Marian Chesney. Reading (and enjoying) Pies and Prejudice right now! Great story about you and Sharon. I have a new author to check out and title to look for. Thanks! I'm currently reading Deadly Currents by Beth Groundwater. Currently reading Cast On, Kill Off. I am reading Lethal Outlook by Victoria Laurie right now! I am reading "Songs in Ordinary Times" by Mary McGarry Morris for my book club! I just finished Nursing Second Chances by Maggie Green! Great book! Need to pick my next! I'm reading two books right now. I am about half way through both Pies & Prejudice by Ellery Adams and Buzz Off by Hannah Reed and I am enjoying both of these books. 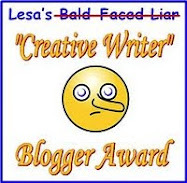 I loved the story you shared with us in your blog today. I will have to check out Sharon's book as well. That is lovely, meeting a friend through a mistake! Ijust finishied Cloaked in Malice by Annette Blair, and my next read will be Pies and Prejudice. It was a hard choice yesterday, which to read first, and I decided to read the series I know first, and then the new one. I'm reading "50% Off Murder" by Josie Belle aka Jenn McKinlay. Right now I'm reading Dragonfly In Amber by Diana Gabaldon . Right now I'm reading Doranna Durgin's "Nose for Trouble". Murder Talks Turkey by Deb Baker, I love Gert! I just finished 50 % off Murder too, loved it. Hope she writes more of the series. Just finishing: The Cat, The Wife, and The Weapon by Leann Sweeney. I'm reading "Heartless" by Gail Carriger. It's the 4th book in a 5 book series. I pulled it out of the middle of my TBR pile when I packed for vacation. I'm just finishing Quilt of Innocence by Elizabeth Craig. Not only did your galleys get mixed up for your books, the descriptioin on Amazon for Death By Deep Dish Pie is actually the description for Hoe Lot of Trouble. Bev, oh my gosh! I didn't even notice that! Oy. Has it been like that for eight years??? I'll let Sharon know (if she doesn't already). Cra-zy! I'm currently readling Lethal Outlook by Victoria Laurie!